You've got a lot of stuff. But storage is sparse. 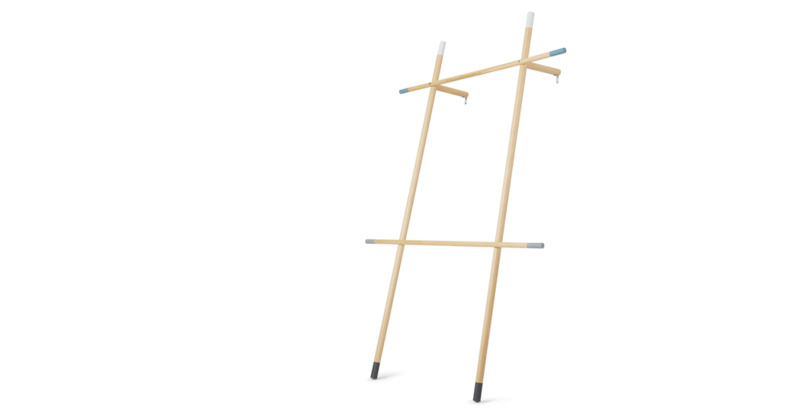 Jo's here to help: with two horizontal rods, this hanging rack is ideal for everyday items you reach for often. Space-savvy. Stylish. Sorted. Designer Michael Gottscheck used the forest and tree branches as inspiration for Jo. The end caps are ideal for accessories and bags. And its lightweight, easily moved design means you can switch up its location depending on your needs. Just prop it up, then hang it up.